This afternoon I heard about the devastating fire at Notre-Dame de Paris. My mind wandered to a trip that I made decades ago to France. I only spent a very short time in Paris, but could see the cathedral from the street my hotel was on. I tried to find the pictures that I had taken while I was there, but they must be tucked away somewhere else than in my picture archives. However, I did find some postcards that I had bought. 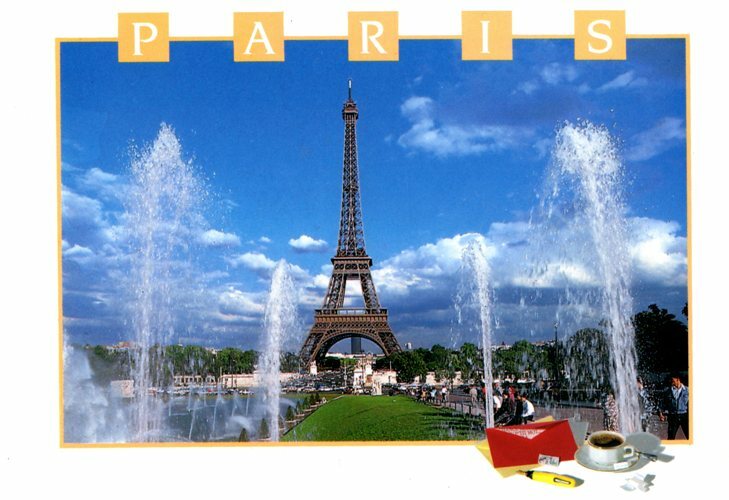 At that time I bought postcards almost everywhere that I traveled. I was given a very quick tour of central Paris while I was there, but did not have time to go inside the cathedral. My main destination had been further south in Lyon, and I was only flying in and out of Paris. We drove around l’Arc de Triomphe while in heavy traffic, so I just got a glimpse of it. I still remember the tiny little car that we were in. It was easy to park as it did not take much space, but not the easiest to see out of. I was able to get out of the car at the Eiffel Tower and got to real quickly run under the tower and take some pictures. I was hoping to have found one of them tonight for my post. 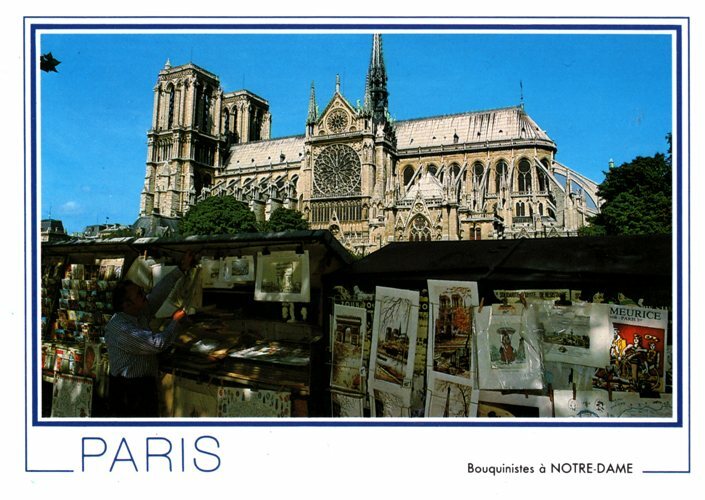 I have some nice memories of walking along the street across the Seine from the Notre Dame Cathedral. I do remember browsing through the many shops full of books, but don’t remember if I bought any. Someday I need to go back to Paris again. It has been way too long since my last trip there. 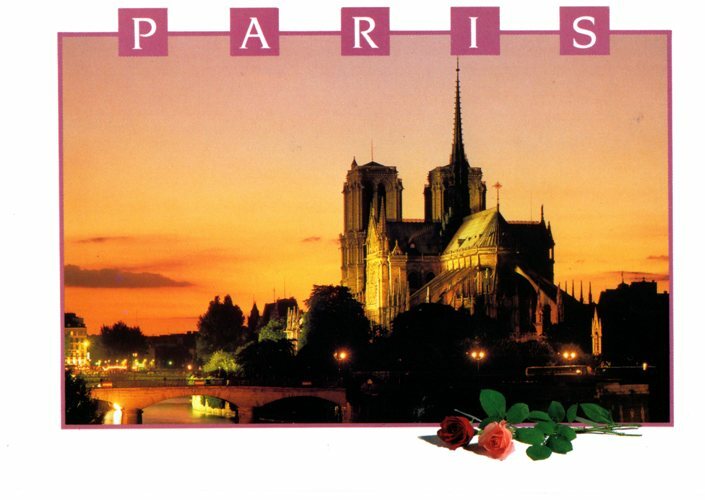 I do have a friend in my prayers tonight as she and her husband are vacationing in Paris. I wonder if they saw the fire. Hopefully the cathedral is not damaged so bad that it can’t be rebuilt. 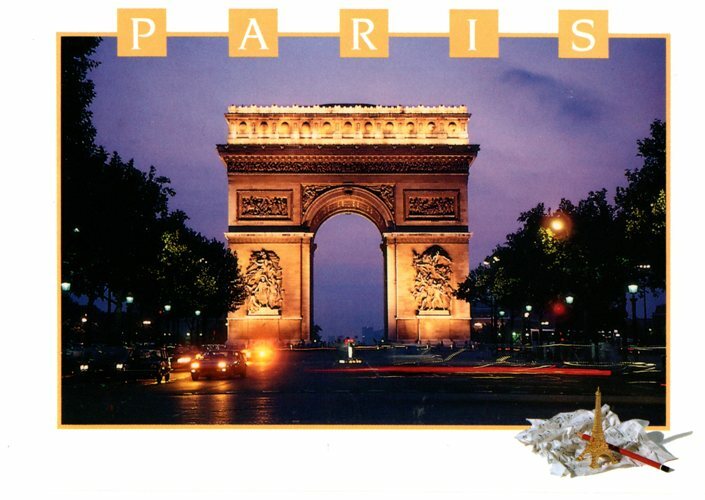 It is definitely a landmark in Paris. 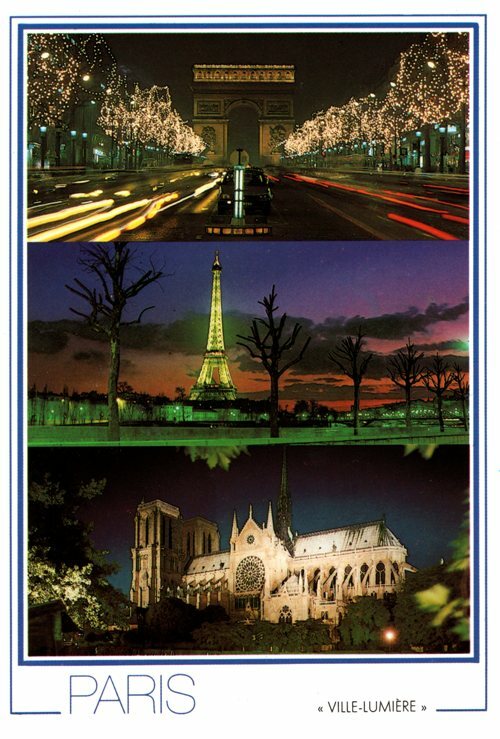 This entry was posted in Culture, Memories, Travel and tagged cathedral, Eiffel Tower, France, Notre Dame, Paris, Seine. Bookmark the permalink.